Hello Pilates Lover (or soon to be Pilates lover)! Welcome to Studio Reform Pilates! We are a small studio with BIG HEART located in Hillcrest nestled in the HUB on the 2nd Floor next to Chiltonic. This studio has been my dream for many, many years & I’m so excited that it has finally all come together! Many of you know I have been a long time Fitness Instructor in San Diego. Although most of you might know me from all my years teaching at Corepower Yoga, what you may not know is that I also teach Pilates! My two favorite fitness past times are Yoga & Pilates. I created this studio mainly because I had a hard time finding a reformer class that I liked & was affordable in San Diego. I wanted a studio where the class was flowing, challenging, where we used props, listened to great music, practiced new sequences, and where the instructors were knowledgeable & friendly. Sounds like a great place, right?! Well, I couldn’t seem to find a studio that checked all those boxes, so I created my own! Studio Reform Pilates is a cozy studio with HEART! With only 8 machines, we give you the small class feel without having to pay a big price. 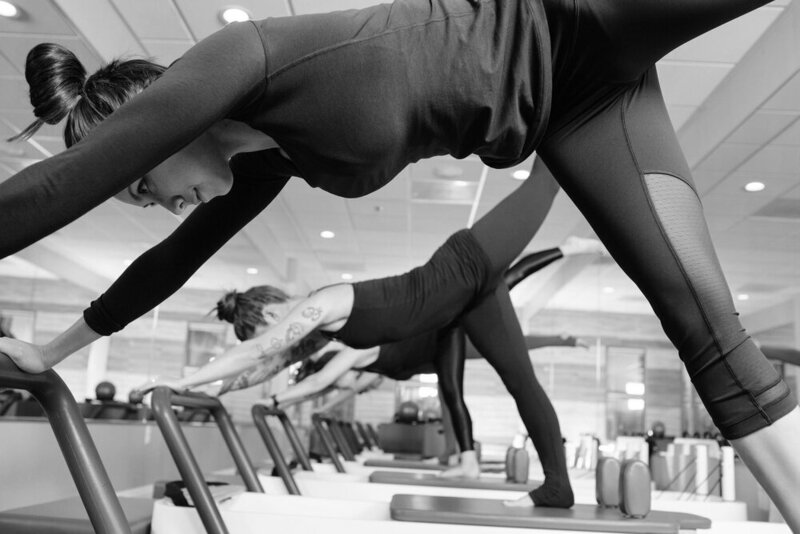 We keep it simple by only using the reformer & only having a few types of classes to choose from. The instructors are able to watch your alignment and form, and help you progress at your own pace. The classes are designed to flow from one exercise to the next with minimal spring changes & prop interruptions. By doing this we are able to give you the most we can in 50 min. Our teachers are AMAZING!!!! They are always changing up sequences & routines so you are challenged in different ways & you stay engaged & present in what you are doing. Pilates is FUN! It doesn’t have to be so serious, and while attention to detail is important, we also want you to enjoy your class experience & leave feeling better then when you walked through the door. Pilates doesn't have to replace what you love, whether it be running, spinning, yoga etc.. but it can complement whatever you are doing currently & you just might find yourself becoming a Pilates addict :) Get to know our small group of dedicated teachers & pop into the studio to check us out. What do we do at SRP? Whatever your age or fitness level, we strive to provide the best possible safe, well rounded flowing Pilates reformer workout in 50 minutes. We will focus on toning & shaping every part of your body, while at the same time having fun & utilizing different props. 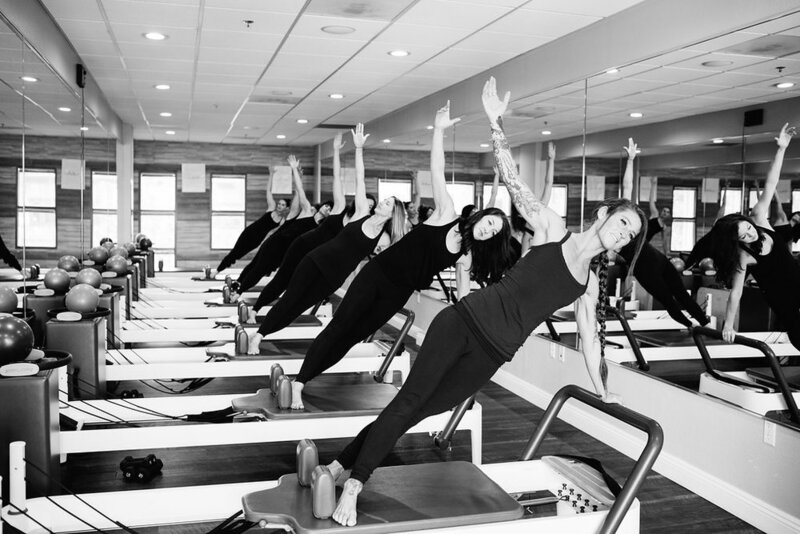 The original reformer was created by Joseph Pilates in 1946. Although it has changed a little bit since then, it still remains one of the main pieces of equipment used in the Pilates Method today. The reformer consists of a metal or wood frame, with springs used to increase or decrease resistance. A footbar sits on the end of the machine. A padded platform or “carriage” sits on the inner frame tracks & is equipped with wheels so that it can glide forward & backward easily. Long straps equipped with hand & foot loops are attached to the opposite end of the machine. 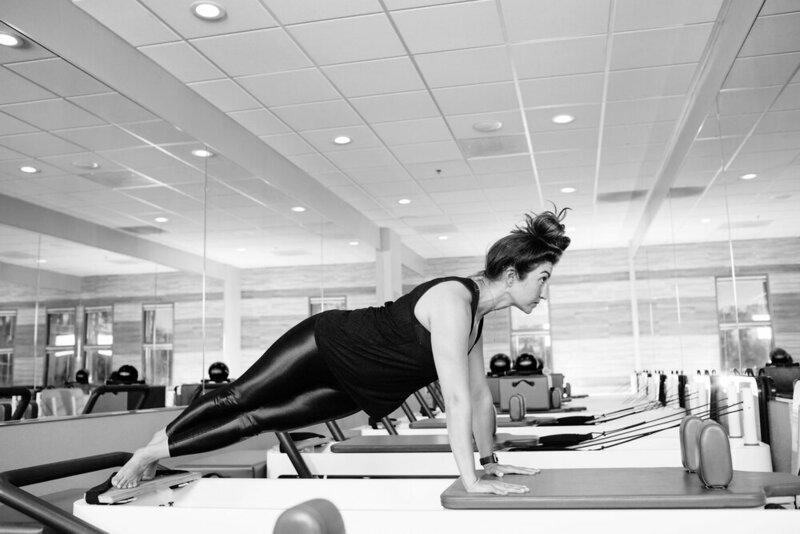 Reformer exercises use spring resistance to elongate & strengthen the entire body, challenging balance & increasing the range of motion in the joints. What is the right class for me if I'm a beginner? 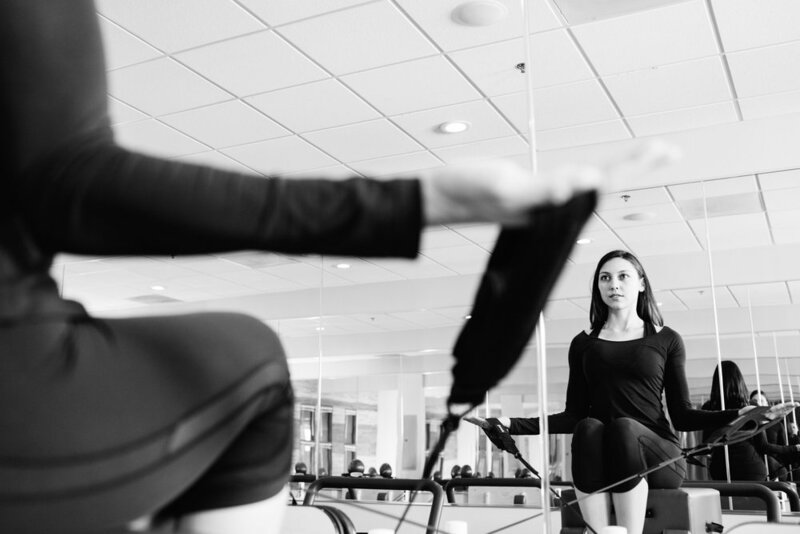 If you're new to Pilates, or new to using the reformer, we recommended you schedule a private or duet session with one of our instructors to become familiar with the basic principles of Pilates and the equipment. 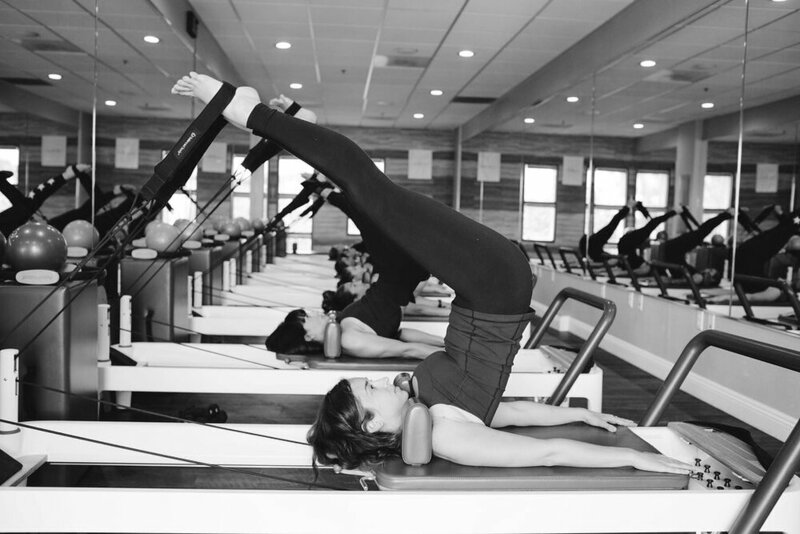 If you choose to head right into a class, it is recommended you start with our Reformer Flow 1 class. This class is taught at a slower, flowing pace, and is appropriate for all levels. If you are new to the reformer, please come a few minutes early to familiarize yourself with the teacher & reformer. If you have any injuries please let our instructors know. We are able to modify the exercises to meet your needs, but just let us know!